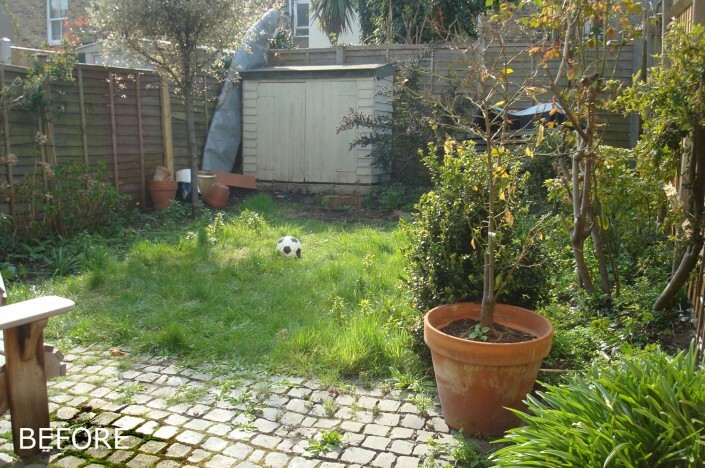 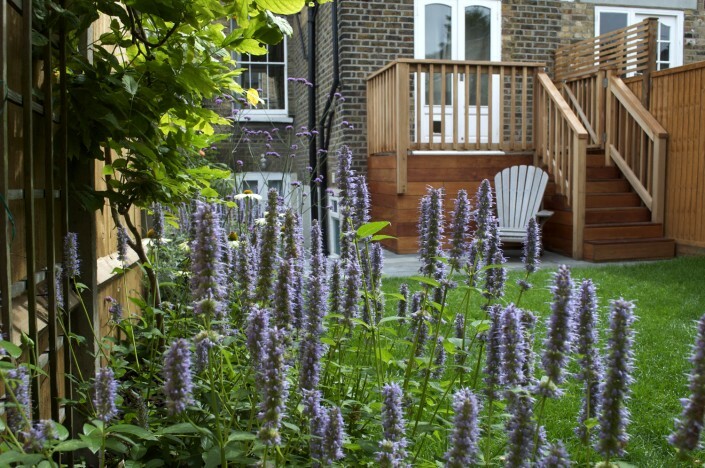 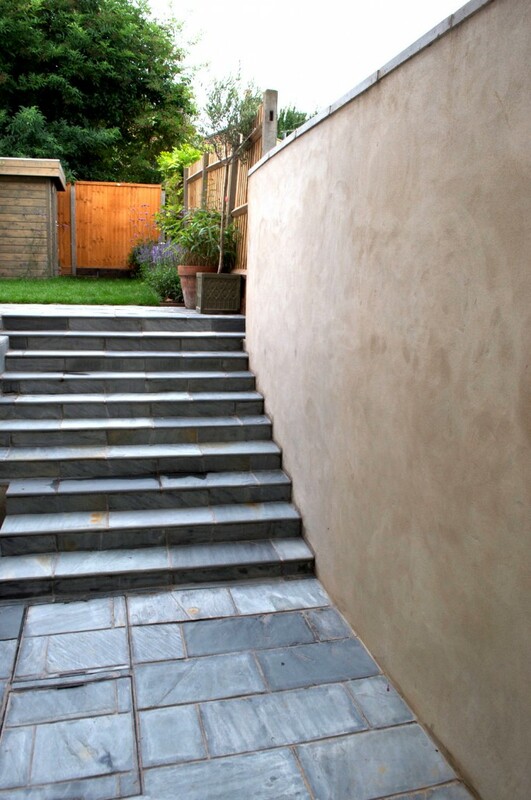 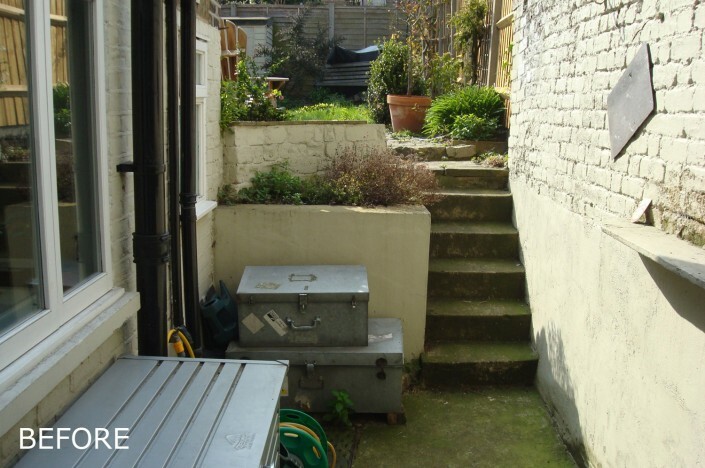 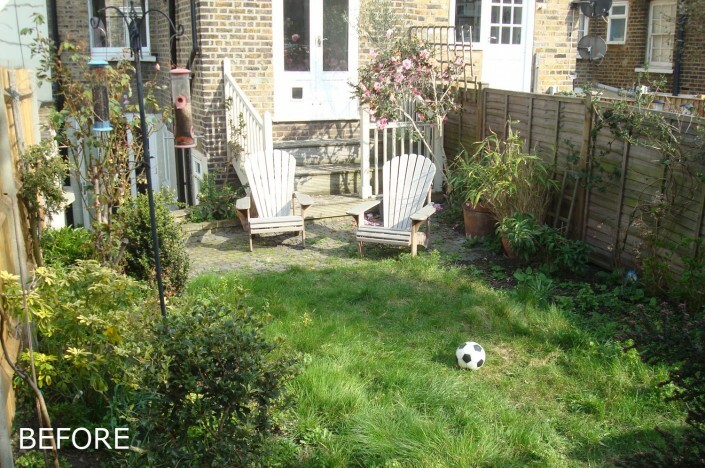 Small landscaped garden in Bow, London E3. Modern/contemporary style. 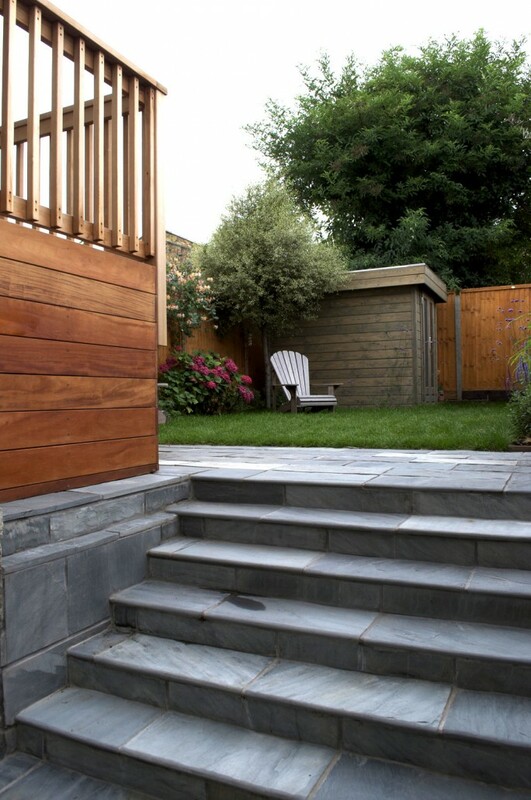 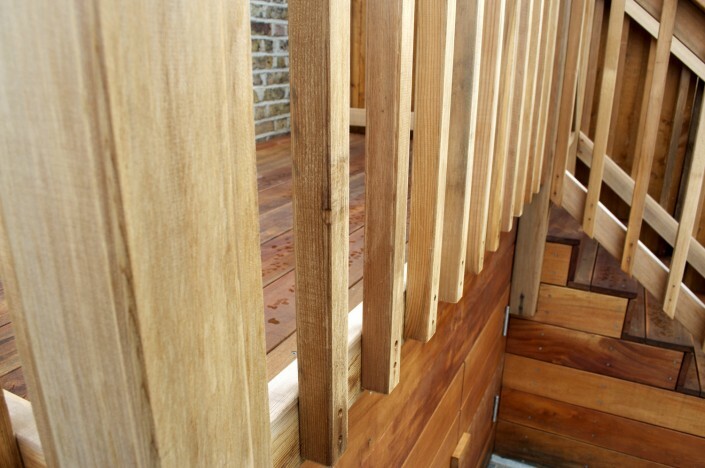 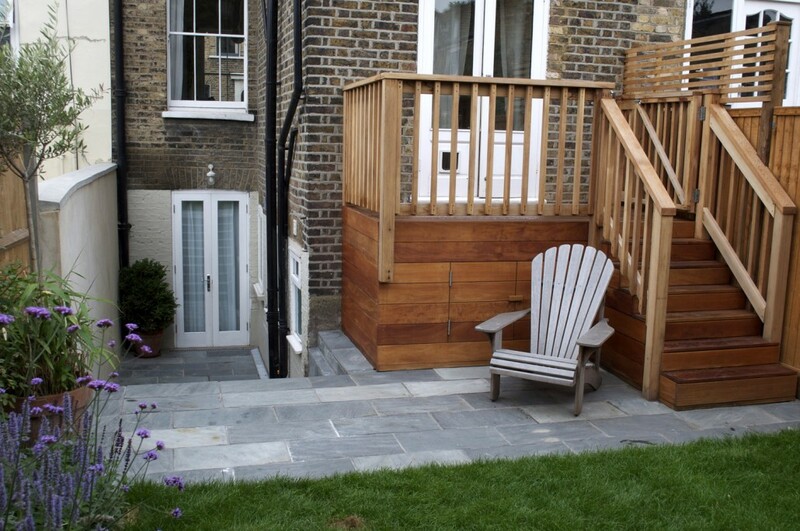 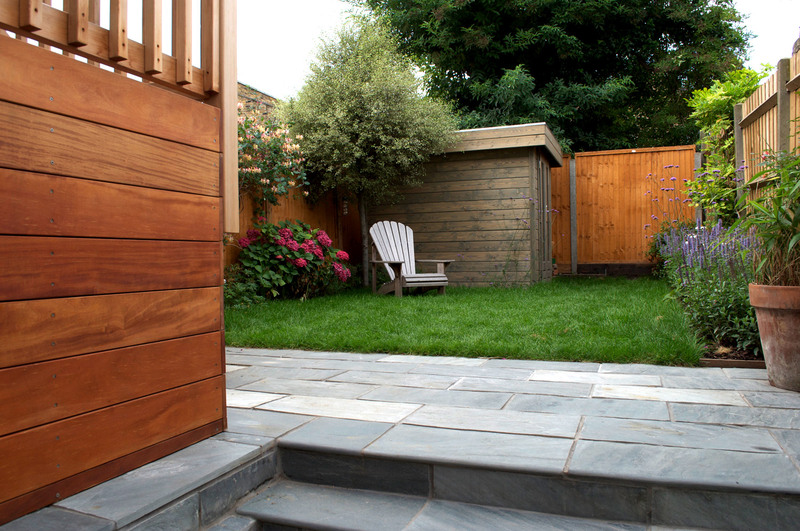 Materials: Garapa hardwood decking with intergrated hidden storage cupboard, Cedar balustrade /rail components, green slate paving, rendered side wall with concrete coping stones, balcony deck and wooden decked stairs leading to ground level from first floor.